Sup kiddos, Trainer Lay / Radius here with a little summary of all important things that happened during this amazing year! All big updates, important challenges, huge events are gonna be recalled. Let’s woke up our memories, enjoy! Meta could be described in two words: Elite Barbarians. They were just buffed in a crazy way and turned into a way too OP card. Some other meta cards were: Graveyard, Mega Minion, Giant. Clan Chest has been updated. Now, it starts every Monday, lasts 3 days, and needs 1600 Crowns to complete. Elite Barbarians, Mega Minion, and Ice Golem have received an obvious nerf, while Electro Wizard received a huge buff. Probably the biggest shock was the Zap nerf, making it no longer one-hit the Goblins. Four new cards were released: Goblin Gang, Battle Ram, Dart Goblin, and Executioner. The fourth one quickly turned into one of the most OP cards and shifted into meta in no time. Goblin Gang found their place on many decks, but the rest had really small use rate. The most dominating decks at the time were: Giant Prince, Hog Bait, and Golem beatdown. It was inevitable that Executioner is gonna see some nerfs. That was actually a good nerf because it didn’t make him dead, but not OP. Combinations like Executioner + Tornado were still great. Except for this, almost all the updates were buffs. 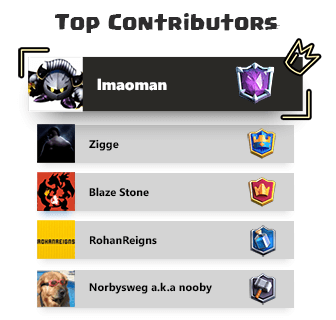 The biggest ones were PEKKA (Deploy Time decreased from 3s to 1s), Poison (Duration decreased from 10s to 8s, damage increased by 24%), and Skeletons (Skeleton count increased from 3 to 4). Other changes that didn’t change much were: Baby Dragon, Witch, Dark Prince and Skeleton Army. 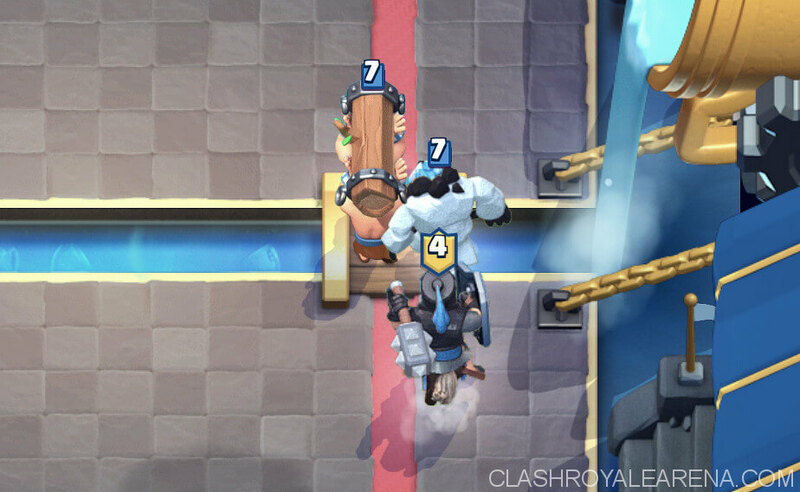 Royal Giant and The Log were considered as one of the most OP cards in the game. Combinations like RG Furnace were everywhere, and The Log was just so good at the 2 Elixir cost. First of all, Balance Update. The biggest ones were Executioner (Axe hit radius increased by 10%), Lumberjack (Rage Duration + 1.5s (+0.5s/level)), and Arrows (Now travel 33% faster). Nothing really game-changing. Four new cards were introduced: Bandit, Heal, Bats and Night Witch. 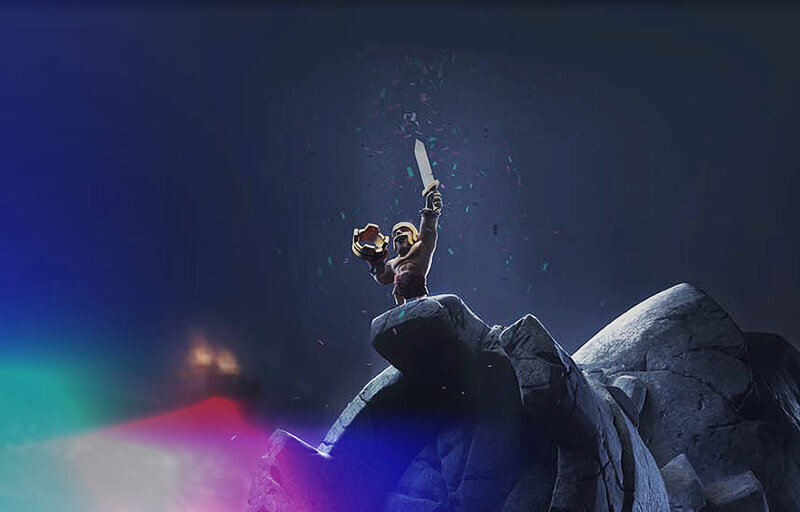 Bandit Draft Challenge was already announced on March 17, 2017. Down the road, Night Witch was absolutely overpowered, Heal was decent on only one deck (Dirty 3M Heal…), Bandit was viable, but not too good, and Bats were terrible. 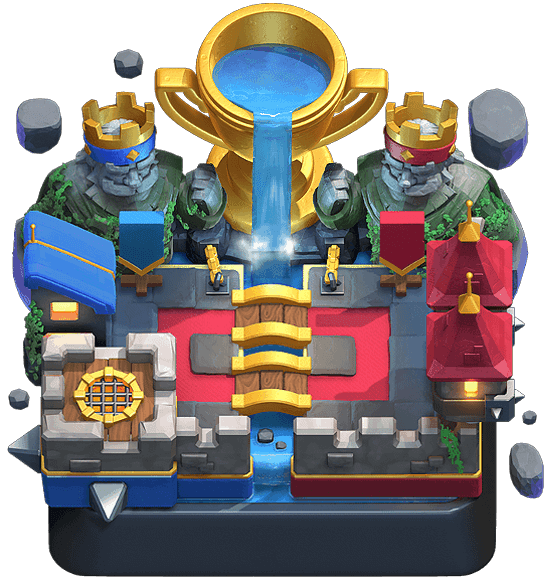 New Arena was introduced, Legendary Arena, which became Arena 11. Unlocks at 3800 trophies. The old Legendary Arena turned into Hog Mountain and stayed as an Arena 10. 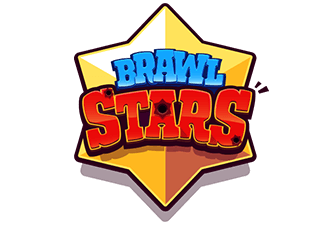 Clan Battles aka the first version of 2v2 was introduced. Clan Battles can be played only with your clanmates. Play Clan Battles to complete Clan Battle Chest. Leagues start at 4000 Trophies. After reaching that, you will enter Challenger 1. Every next league starts after reaching 300 Trophies more. Challenger 2 – 4300. Challenger 3 – 4600 etc. 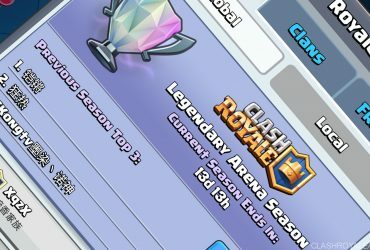 League players could get the Draft Chest after each season. Really cool and easy 6-win Challenge, where you can use only the cards, which were in the game during Global Launch. Great idea! The cancerous combo, Royal Giant, and Elite Barbarians are getting a desired nerf. 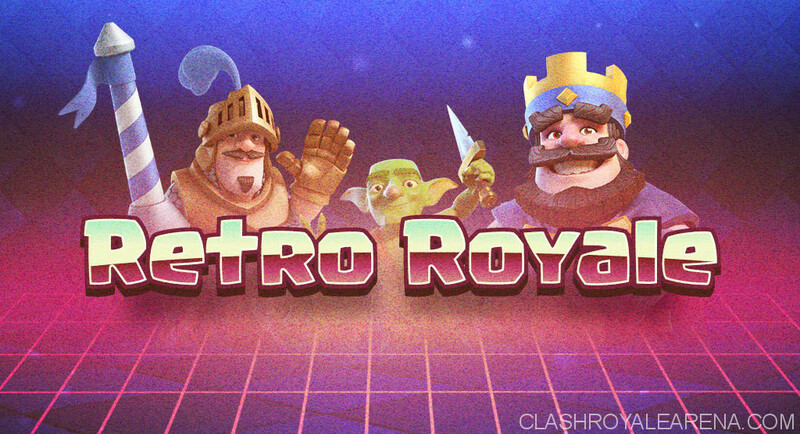 Royal Giant’s deploy time increased from 1s to 2s, and Elite Barbarians’ had their HP reduced by 4, and Initial attack speed reduced by 0.1s. Heal spell was introduced via Heal Draft challenge. Did you make 12 wins on it? One of the biggest moments in Clash Royale history. 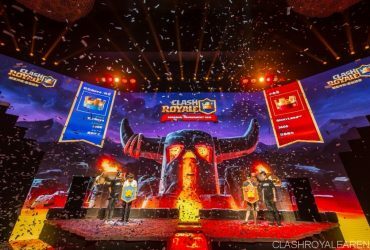 Supercell released an announcement about The Crown Championship. Players all around the world could register and fight for the $1.000.000 in total! That was also the first time ever when players could get more than 12 wins on the challenge. The reward for reaching 20 wins was 250.000 Gems in total, and also Legendary Chest among others. Night Witch has been introduced via Night Witch Draft Challenge. Back then, she was totally OP and everyone who unlocked her had like guaranteed 500 Trophies boost for free. First of all, balance changes. Night Witch has received an obvious nerf, but it didn’t really change her, she was still an outstanding card. Skeletons have been killed again (Skeleton count decreased from 4 to 3), Bandit’s dash now was initiating faster and spells such as Heal, Poison, and Tornado can stack up. 2 extra deck slots at level 8! So when you reach lvl 8, your deck slots’ count increases from 3 to 5. Such quality of life improvement! Am I the only one who actually can’t imagine playing without 5 slots? New friend list system. Now friends can be invited via LINE or by sending them friend’s request via Messenger, Skype, Discord… whatever floats your boat! Four new cards were announced: Meta Knight, Cannon Cart, Flying Machine and Skeleton Barrel. 2v2 Double Elixir Draft challenge has been introduced. I went 9-0 on it, how about you? Bridge Spam is completely dominating the game right now. Bridge Spam received a big hit, nerfing cards like Battle Ram, and Night Witch. Both siege weapons received a pretty big buff (Deploy time to 3.5sec from 4sec) Supercell revived some cards such as Mini PEKKA, and Ice Wizard. In my opinion, it was really good balance update, pretty much no mistakes. Ramp Up mode shared for players for the first time ever via 9-wins’ Ramp Up Challenge! 2v2 Mega Knight Draft Challenge. But don’t judge a book by its cover! There’s not guaranteed Mega Knight after reaching 9 wins! The final reward was just a Legendary Chest. You couldn’t imagine how disappointed I was after opening the Legendary Chest and getting… Princess. She (or he, I’m not sure) didn’t change really the game. In big short, do everything you can to get a troop cross the touchdown line at the end of the Arena. Mirror Challenge – Play vs the same deck and same rotation. Every deck contains the Mirror card, which is the game-changing factor. There are no excuses. The more skilled player wins. New shop – Now, instead of buying cards per heads, we have a “daily deals” what means we cannot buy 1 card, you gotta buy for example an x20 pocket. But why? The old shop was better. The only advantage of this change is a free gift. Balance Update. The biggest one was Tesla’s huge 30% buff and Lightning’s -0,5 Radius change. Spear Goblins’ hit speed has been decreased from 1,3s to 1,1s, what, to be honest, didn’t really buffed them as a 2 Elixir card, but Goblin Hut became really viable in control/beatdown decks! Sparky also got buffed, but she still doesn’t see much love. 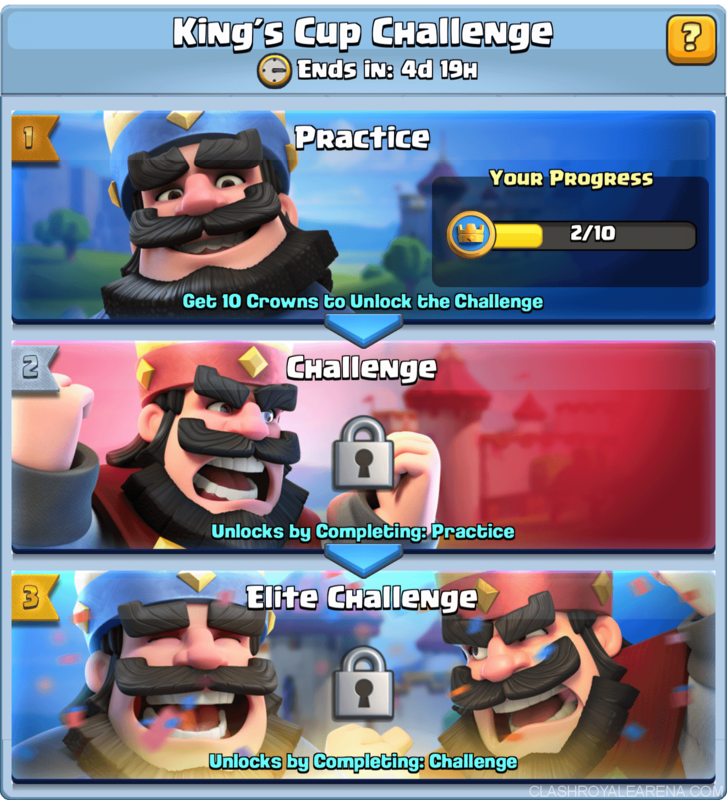 Elite Challenge – 1 free entry, each entry costs 100 Gems. 9 wins and you get your reward, which was Legendary Chest (!) Obviously after 3 losses, you’re out. Not really a reward-based challenge, just to put a Clash Royale community in the Halloween mood! People could draft & unlock Skeleton Barrel at 9 wins, although it wasn’t even tagged as “Released in x days”. What’s funny the reward was all Skeleton-based. Skeleton Army, Bomber, Witch, Giant Skeleton etc..
Self-explanatory name, ya? 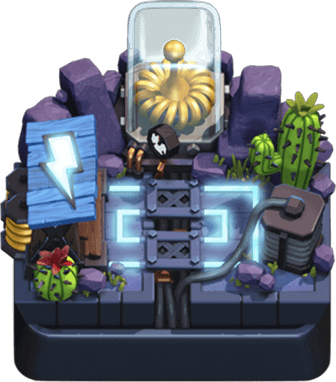 Only cool thing was that Towers looked like Elixir Collectors. You know what’s the best thing to wake up the game after 20 days without a fresh challenge? As you may guess from the title, first player to get 1 crown wins. Hilarious decks like LumberLoon Freeze Clone had their minutes of glory. What was your fastest match? Mine was 21 seconds tho. I used Giant Graveyard Poison. New Arena – Electro Valley. It became Arena 11, and Legendary Arena became Arena 12. It unlocks at 3400 Trophies. It is visually one of the best Arenas in my opinion. Two new cards: Hunter and Zappies! Fortune Chest: Get a glimpse of the future and see what your chest might contain! King’s Chest / Legendary King’s Chest: Huge chests with only Rare, Epic and Legendary Cards (Legendary is guaranteed!). Remember this is like Draft Chest, you pick one of 2 cards. Gold Rush and Gem Rush events were introduced. Nice way to make people play ladder more often. Biggest one was: -6% Damage for all stab Goblins, Guards’ DMG +5%, HP +5% and decreased hit speed, Elixir Collector’s HP nerfed by 13% and all damage spells’ damage decreased by 5% (Why Supercell, why?) Rest of these didn’t really change much. Max reward after 9 wins – 10 000 Gold. Everyone who managed to unlock him is really good. He’s incredibly good card, must-nerf. Deja vu? Yes, I’m looking at you, Night Witch!